The Lake County Captains, located in the Cleveland suburb of Eastlake, Ohio, have made an annual habit of staging satirical tributes to Cleveland’s ignominious sports history. It comes as no surprise, then, that the Class A Indians affiliate is having a little bit of fun with the latest controversy surrounding Cleveland Browns quarterback Johnny Manziel. 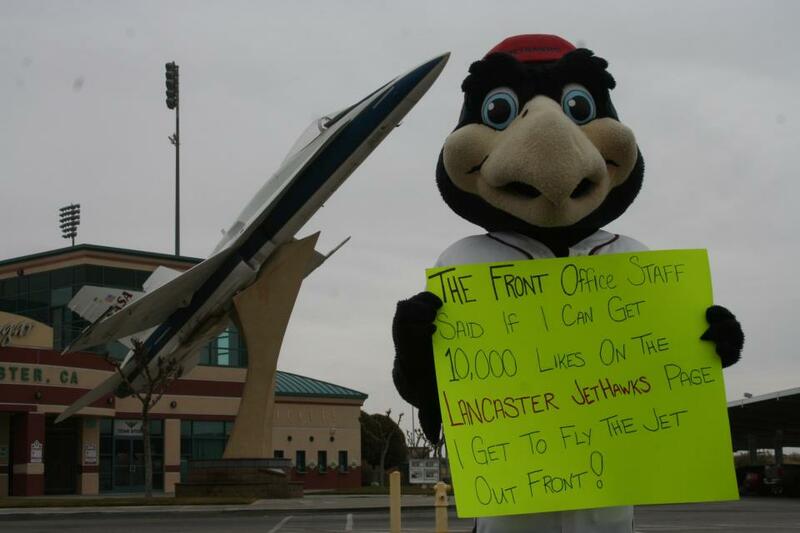 Post entries by midnight tonight using #BillyTheCaptain and the @lccaptains staff will vote on the top two! To the victor, goes the spoils. The mayor of Flavortown need not apply, however. While waiting for the fan submissions to roll in, please enjoy the Captains’ 2014 homage to Major League. I, meanwhile, will be once again reliving the greatest moment of my life. This happened in Lake County in 2011. In this, the third of a three part series, Lake County Captains assistant general manager Neil Stein offers a behind-the-scenes look at all that went in to planning August 1’s Cleveland Sports History Night and Major League movie tribute. Part three, detailing the night of the promotion in question will commence as soon as you transition from this sentence to the next one. The day we’ve all be waiting for has finally arrived. My day begins with a 7:12 a.m. text message from our groundskeeper, Dan Stricko, telling me that the golf cart was there but that it was too tall for the garage. He also informed me that the first person in line for the Jobu bobblehead arrived at 4:30 a.m.
At 8:30 I went to Bruce Custom Graphics and picked up a banner for our gate with the text “Welcome to Classic Park. One giveaway per person, not per ticket. 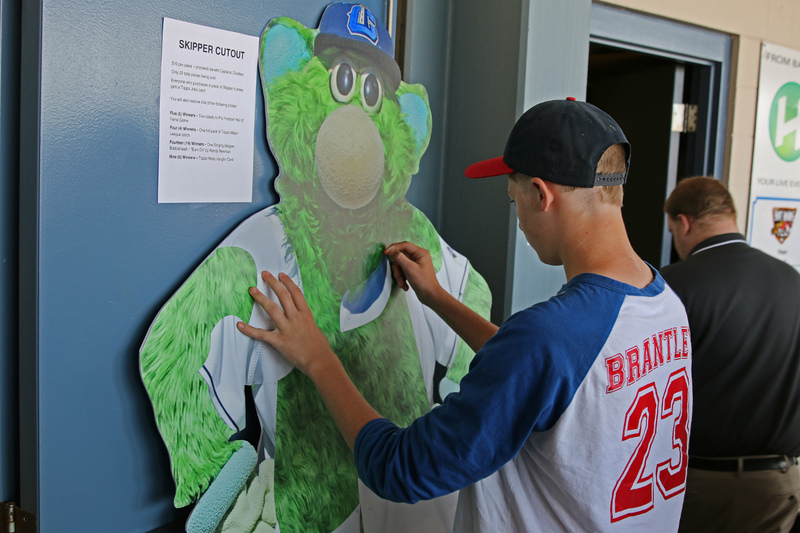 No stadium exit until all giveaways are distributed.” I also picked up the 6’6” Skipper cutout with removable jersey. The cutout is reminiscent of the Indians owner from Major League, Rachel Phelps, and the cutout Indians Manager Lou Brown gets for the team. He tells the team that there are 32 pieces on the cutout, and he’ll remove one piece of her clothing for each win they get for the remainder of the season. When I got into work I spoke with Dan Stricko about the golf cart, to see what we might be able to do as a backup plan. We thought about our options: removing the roof, backing it into the players entrance tunnel, leaving it in the corner of the bullpen and, finally, parking it behind the centerfield gate and driving it out from there. (The final option was the one we ended up deciding on.) 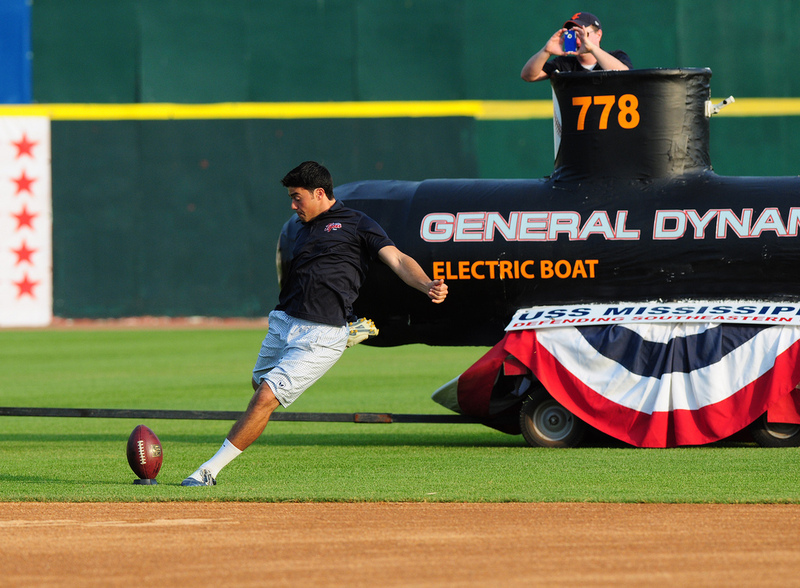 I also spoke to Dan about the Brandon Weeden promotion we were planning, where we’d have someone in a Weeden jersey get stuck under the oversized American flag in centerfield just like Brandon Weeden did in his NFL debut for the Browns. I then wrote up a summary of how the Skipper cutout promotion would work. It would cost $10 for a piece of his jersey; each purchase included an oversized Topps Jobu trading card and another prize. Other prizes included tickets to the Pro Football Hall of Fame Game, Ricky Vaughn Topps Cards, and Singing Skipper bobbleheads from 2013 which played part of the song “Burn On” from Randy Newman (the song played at the beginning of Major League). Next I spoke with promotions manager Drew LaFollete about the in-game promotions and the prizes we’d be awarding. We had Ricky Vaughn bobbleheads (thank you Cleveland Indians) for the five fans who got the Red Tag under their seat, full packs of Topps Major League trading cards for in-game promotion winners, Bubba Q’s barbecue sauce for any RBI, and Bubba Q’s gift cards for home runs hit by a Captains player. I returned to my desk to take care of a few last minute details. These included ticket requests from celebrities, finding graphics for the Bubba Q’s promotion and locating a logo for the Baker Vehicle pitching change promotion. While doing this I was looking at the Crisco, Vaseline and Vagisil sitting on my desk and had an idea. Could we put all those substances, plus jalapenos, on a tray and offer them to Chelcie Ross when he threw out his first pitch? I found a serving tray and put together a platter of substances from which he could choose for his pitch. By now, Billy Herron, a college student who has helped us a few times this year, showed up to assist with our celebrities and VIP event. I explained everything to him so that he’d be up to speed as he was helping get the celebrities into the ballpark and to the VIP tables. It was now 4:45 p.m., so we started moving the bobbleheads out of storage to the gates. I took the boxes that we needed for the VIP event and the rest were to be placed evenly at the gates. We ordered extra giveaways (over and above the 1,500 at the gates) for our season ticket holders who have “guaranteed giveaways” as part of their package. Those boxes were set aside. At 5 p.m. the gates opened for the 200 people who purchased a Jobu VIP package. I checked them in, as several members of our ownership group helped pass out the bobbleheads. After I got through the initial rush of fans, I noticed that there didn’t seem to be as many boxes at the gates as I was used to seeing. I asked an intern to watch the table for me while I checked storage. Sure enough I found 30 more boxes of bobbleheads that had not made their way to the gates. We only had 10 minutes before gates opened for season ticket holders so I made a plea over our radios for anyone available to get the boxes to the gates. In two minutes the task was done, but it was a panic attack nonetheless. At 5:45 p.m. season ticket holders began entering and cleared out in about 10 minutes. A couple of last minute stragglers came through in the final five minutes before the gates opened to the public. At 6 p.m. I wrapped up the VIP early entry and prepared to open gates to the public. The playing of “Burn On” by Randy Newman signaled the opening of the gates. A mere 15 minutes later, the 1500 bobbleheads were gone. In somewhat of a surprise, we didn’t have any issues at the gates with people trying to get more than one bobblehead. An always stressful moment during giveaway nights is when we’re down to the final box. One fan is ultimately going to be number 1,500 and get the giveaway, and the next person will be number 1,501 and kick themselves for not getting in line two minutes sooner. Stadium operations manager Josh Porter drew the short straw and had the final box of bobbleheads. Down to three bobbleheads, he literally held them over his head as fans were pouring in and the next three people who got to him went home with the final Jobu bobbleheads of the night. Two months earlier, when the national media first picked up on the Jobu giveaway, we knew the demand for Jobu was going to be at an all-time high. 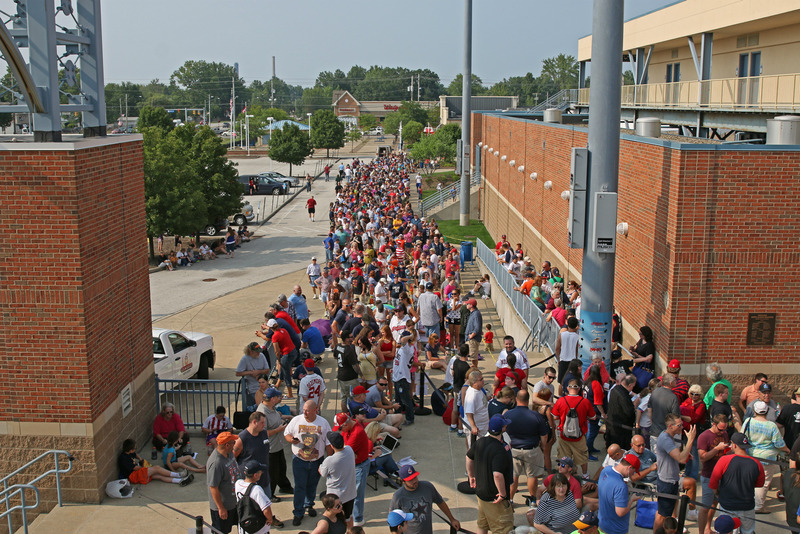 Fans were traveling to our ballpark from 23 states and Canada, so we came up with a plan for fans who really wanted a bobblehead but weren’t one of the first 1,500 through the gates. We put together a Jobu seven-game ticket package that would be good for any August game or April 2015 game. The plan was priced the same as our normal seven-game plan — $60 each — and fans who bought a package would get a free Jobu bobblehead at a later date. We planned on placing a re-order for these fans the following week. 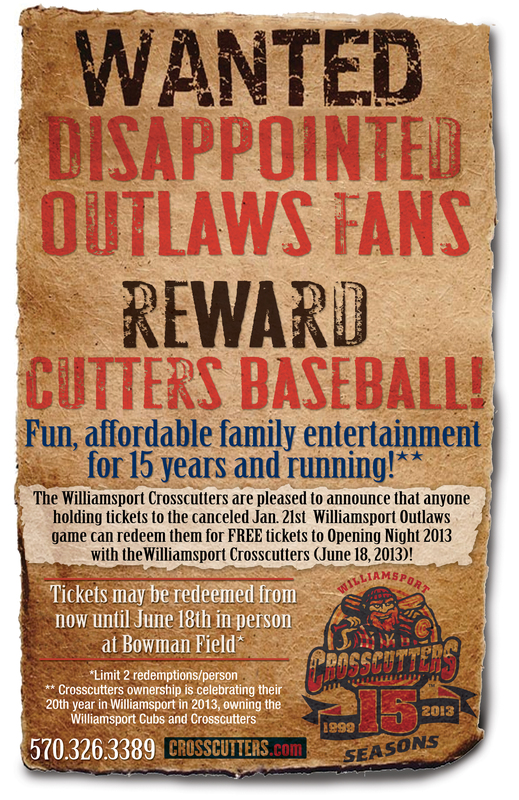 We had 3,000 postcards printed describing this offer and handed them out once the bobbleheads were gone. Fans wanting this package had to purchase them that night and our ticket department processed the orders on the spot. At the end of the night we had sold nearly 200 packages! When the gates opened it also marked the start of our game-worn jersey auction and the first half of our celebrity autograph session. The Captains wore replica road jerseys of the 1989 Cleveland Indians – the year Major League was released. A bonus item included in the auction was an autographed Pete Vuckovich baseball. Baseball fans remember Vuckovich as the 1982 American League Cy Young winner with the Milwaukee Brewers but Major League fans know him as Yankees slugger Clu Haywood from the movie. Vuckovich is currently a special assistant in the Seattle Mariners organization and they were gracious enough to have him sign a baseball to include in our auction. Not only did he autograph the baseball, he also included the inscription “Clu Haywood,” which made it even better. At 6:40 PM the first autograph session ended and our Cleveland sports celebrities were escorted to the field for their First Pitches. Celebrities included Arthur Chu (Jeopardy! 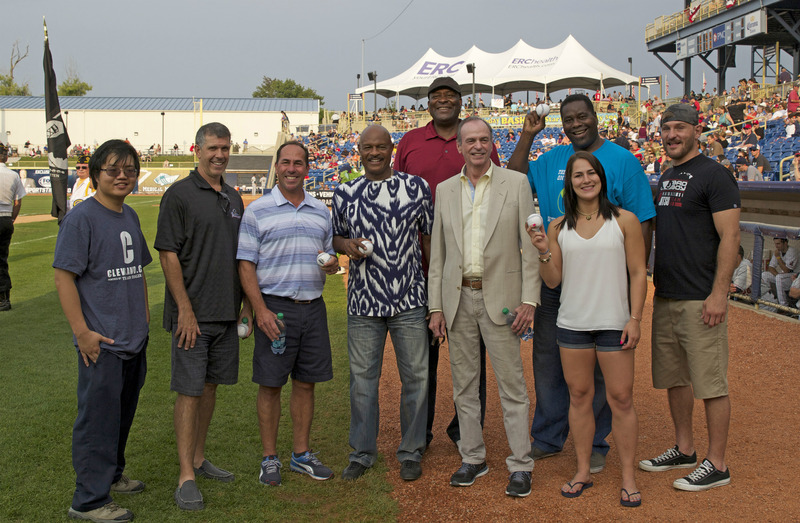 Champion), Hector Marinaro (all-time leading scorer in Indoor Soccer History and former member of Cleveland Crunch and Force), Jock Callander (all-time leading scorer in IHL history), Jessica “Evil” Eye and Stipe Miocic (current top-10 ranked UFC fighters from NE Ohio), Al “Bubba” Baker (former Cleveland Brown), Jim Chones and Austin Carr (all-time great Cleveland Cavaliers) and finally Chelcie Ross, aka Eddie Harris. Ross got the biggest ovation and a huge laugh from the crowd when we presented him with the tray of Vagisil, Crisco, Vaseline and jalapenos to choose from before throwing his pitch. For those wondering, Ross went to the Crisco first followed up by a little Vaseline. After the first pitches the celebrities got to eat and relax in a suite before returning at 7:15 for the second autograph session. Autographs wrapped up at 8; some of the celebrities headed home for the night while others went back up to the suite to watch the game. The dust finally settled around 11 PM; the game was over and the Captains had won by a score of 8-1. Starting pitcher Mitch Brown, who played the role of Rick Vaughn in the Captains Major League spinoff videos, pitched five scoreless innings. Nellie Rodriguez, playing the role of Pedro Cerrano, went 2-for-3 with a double, home run and three RBIs. The 9,069 fans who attended the game (one of the top five crowds in Classic Park history) and every person involved in the planning of the night — from full and part-time staff to the Eastlake police and maintenance departments to our celebrity guests — contributed to making it an overwhelming success. The Captains’ “Cleveland Sports History Night and Major League 25th Anniversary featuring the Jobu bobblehead” was a grand slam for the organization and the highlight of my 15 seasons in Minor League Baseball. Thanks to Neil Stein for taking the time to write this, and thanks to you for taking the time to read it. “On the Road” content resumes tomorrow. My next road trip begins on August 22 in Batavia. See you there? The Lake County Captains staged a mammoth promotion on August 1, combining their annual “Cleveland Sports History” celebration with a wide-ranging 25th anniversary tribute to the movie Major League. The evening’s much-coveted giveaway was a Jobu bobblehead, with actor Chelcie Ross – who played junk-baller Eddie Harris in the film – throwing out a first pitch. Between-innings games and contests referenced Major League in a variety of ways, as a small army of Cleveland sports celebrities signed autographs on the concourse. In order to shed light on the Minor League Baseball promotional planning process, Captains assistant general manager Neil Stein has written a series of journal entries detailing the work done by he and his staff in the week leading to August 1’s promotion. These journal entries are running in three segments. Part one can be found HERE, in the latest edition of my Farm’s Almanac column. Part two can be found below. Part three will run on Monday, here on the blog. Day off! Yes, a day off during the season. Nonetheless, some work still needed to be done. I got two phone calls at home about our pre-game VIP Meet-and-Greet package, including one person looking to purchase 15 packages. I took time in the afternoon to check my e-mail and respond to several people about the night, including a celebrity who was e-mailing me to potentially cancel his appearance. That night I needed to run to Walgreens to return a Redbox movie so I thought I’d cross a few items off my list for the Major League promotion while I was there. What items did I need? Nothing out of the ordinary, just a tube of Vagisil, Vaseline and Crisco. In the movie there’s a well-known scene in which Eddie Harris (played by Chelcie Ross, who was coming to our game) and Ricky Vaughn (Charlie Sheen) are talking in the locker room after practice. Sheen looks at Harris, who is shirtless, and notices some substances on his chest. Vaughn asks what’s on his chest and Harris responds with “Crisco, Bardol, Vagisil. Any one of them will give you another two to three inches drop on your curveball.” With Eddie Harris himself coming to the game, we knew we had to incorporate this classic scene into the promotion. Hence, the need to purchase Vagisil and Crisco. Later in the movie there’s a reference to a “Vaseline ball” by the Indians’ radio announcer, played by Bob Uecker, so that’s the significance of the Vaseline. After picking up the items, I checked out, got an interesting look and comment from the woman at the cash register about purchasing Vagisil, and called it a night. 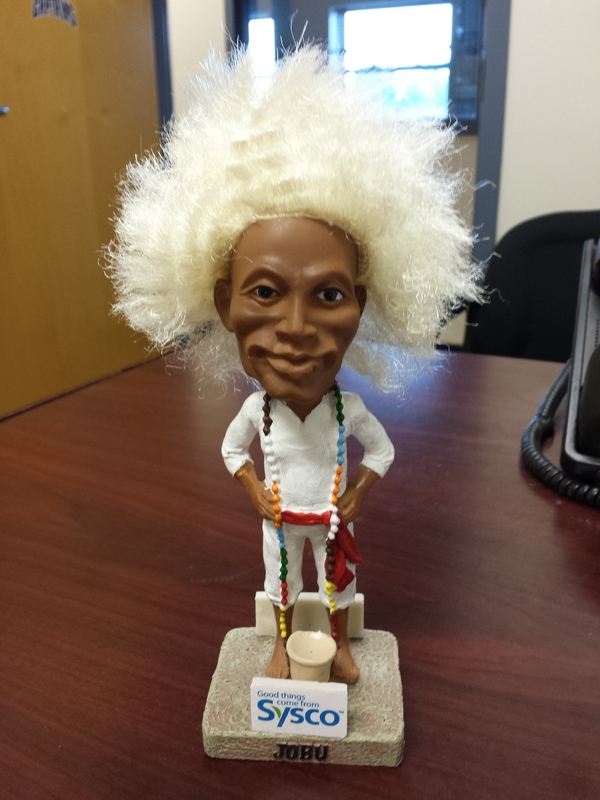 When I arrived at the ballpark and opened my office door I was greeted by Jobu himself, sitting proudly on the corner of my desk! The biggest stress item and question of the week — “Will the bobbleheads arrive in time?” — could now be crossed off of the list. Thank you Alexander Global for getting Jobu to us on time! I was then greeted by the Captains beat writer from The News-Herald, David Glasier. David was planning a story on the night and wanted to see Jobu. The News-Herald has been a long-time partner of the Captains and was the co-sponsor of Jobu along with our presenting sponsor Sysco. David and I staged a photo shoot in the office with Jobu and some other bobbleheads. I filled David in on some of the details for Friday, including the golf cart to bring our pitchers in from the bullpen and our plan for first baseman Nellie Rodriguez to play the role of Pedro Cerrano by using “hats for bats.” We also discussed one of our celebrities potentially backing out and brainstormed some potential last-minute replacements. Then I walked through the concourse with stadium operations manager Josh Porter, so that we could finalize the placement of tables for autographs, sponsors, and the game-worn jersey auction. Josh has been helping with the logistics of the event, including police officers and crowd control for the night. Josh also put together Major League-inspired videos, with our Captains players assuming the roles of players in the movie. During the afternoon it was time to pick up the phone and confirm more details. 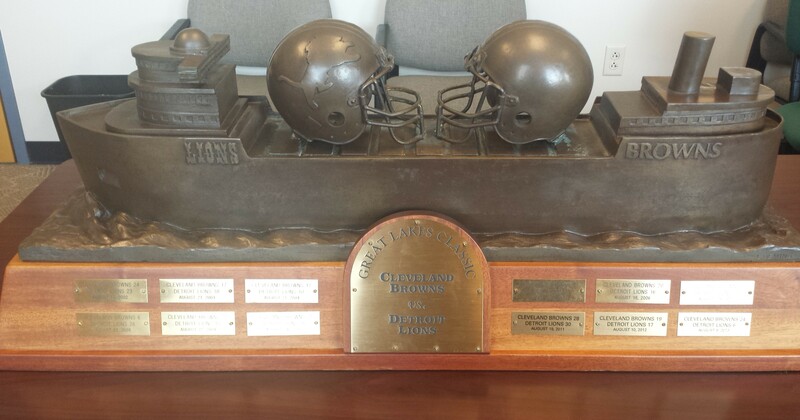 This included talking to the Browns to coordinate pickup of The Barge trophy, talking with Campy Russell to confirm Cavs guests, and, finally, at 6 PM, speaking with the representative for Stipe Miocic and Jessica “Evil” Eye (UFC fighters) to confirm t-shirt sales during the game. That night, while lying in bed, I had a bunch of random thoughts go through my head about the night. This included the possibility of closing the 1st base gate in favor of giving away all of the bobbleheads at the main gate. Also, what happened to the balls we sent to Corbin Bernsen for autographs? The Barge Trophy. It is actually a thing. It’s Jobu Eve at Classic Park. In the early morning I got an e-mail from one of our celebrity guests, former Browns and Lions defensive lineman Al “Bubba” Baker. He was inquiring about an in-game promotion involving his restaurant (Bubba Q’s), his barbecue sauce and his famous de-boned rib steaks, all of which were featured on the TV show Shark Tank. Previously we suggested giving out something for every Captains RBI (aka “ribby”) during the game. Bubba liked the idea and also wanted to give out a $50 gift card for every Captains home run. After that I sat down with general manager Brad Seymour and stadium operations manager Josh Porter, to discuss the possibility of giving away all of the bobbleheads at the main gate. We determined that this would be best in terms of crowd control, and it would also make sure that one location didn’t run out before the other. I suggested routing everyone down the stairs and along the sidewalk in four lines, as we were anticipating long lines Friday night. After this Josh and I walked to the main gate to visualize how the lines would work. We made our best guess as to how long the lines might be and to see how we could safely route the fans along the side of the ballpark. Josh called the city of Eastlake to see if we could borrow traffic cones to help with this process. In the office I checked the status of some final VIP orders to make sure they were fulfilled, so that there wouldn’t be any issues with this on Friday. (We sold out of VIP packages on Tuesday.) I talked to Josh Porter about our VIP event and how to keep season ticket holders out of the autograph area from 5:45 to 6:00 pm, when those two groups would be overlapping inside the stadium. We came up with a stanchion system that would divide the concourse, which be easy to remove at 6:00 pm. I then went back to my to-do checklist. Items included working out the logistics of driving the golf cart onto the field, graphics for the video board, PA scripts and reads, and responding to e-mails from fans begging to buy Jobu bobbleheads. During my lunch break I ran to Goodwill, Wal-Mart and Discount Drug Mart to get some props. We needed pajamas for our Willie Mays Hays in-game promotion, which was going to involve swinging a bat, doing 20 push-ups (like Willie Mays Hays every time he hit a popup during the movie), putting on pajamas and racing from home plate to first base (similar to when Hays was removed from the dorm during training camp, woke up late for practice and ran a 60-yard dash in his pajamas). At Wal-Mart I got red paper to make Red Tags to put under seats, signaling fans had won a prize (as opposed to in the movie, when a Red Tag in someone’s locker signified a player getting cut). Finally, I went to Discount Drug Mart to see if I could find a Pilot Flying J gift card at their Gift Card Center. Unfortunately, they didn’t have one. The plan was to allow anyone with a Commercial Driver’s License (CDL) to register for a chance to win a $50 gift card, as retribution for the well-documented issues the company owned by Cleveland Browns owner, Jimmy Haslam, had with trucking companies over the past several years. Our staff held a meeting at 3 pm, where we discussed all the games of the upcoming six-game homestand. (The first game was tomorrow’s Cleveland Sports History Night and Jobu bobblehead giveaway.) We spent 45 minutes discussing details and logistics for Friday night, so that our staff was aware of how things would run and be able to answer any questions. We also conducted a competition among the staff, guessing the time that the first person would arrive for the giveaway. My guess: 5:30 PM Thursday night. Following the staff meeting I left to pick up postcards and ticket vouchers for the ticket package we were going to offer to fans who didn’t get a Jobu bobblehead (more about this later). I was also going to pick up a banner for our main gate and a life-sized Skipper cutout, but they weren’t ready so I made arrangements to pick those up Friday. Tune in next week for the exciting conclusion of Neil Stein’s promotion planning journal! Will Eddie Harris opt for the Vagisil? What time will the first fan get in line for the Jobu bobblehead? Will the Skipper cardboard cutout ever arrive? All will be revealed! It’s time for another edition of “Why I Love”, in which Minor League fans explain just what it is they love about their favorite Minor League team. 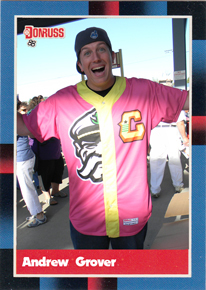 Today’s guest author is 21-year-old Lake County Captains fan Tyler Stotsky, a native of nearby Mentor, Ohio. Stotsky, a junior at Lake Erie College who is pursuing a sports management degree, has served as the team’s bat boy for the past four seasons. In the Northeast Ohio area, there are two options for Minor League Baseball: the Akron RubberDucks and the Lake County Captains. The Captains are situated in Eastlake, Ohio, playing their first season in 2003. I have been a fan since 2008, for many different reasons: the staff, atmosphere, promotions and the chance to see the Cleveland Indians of the future. 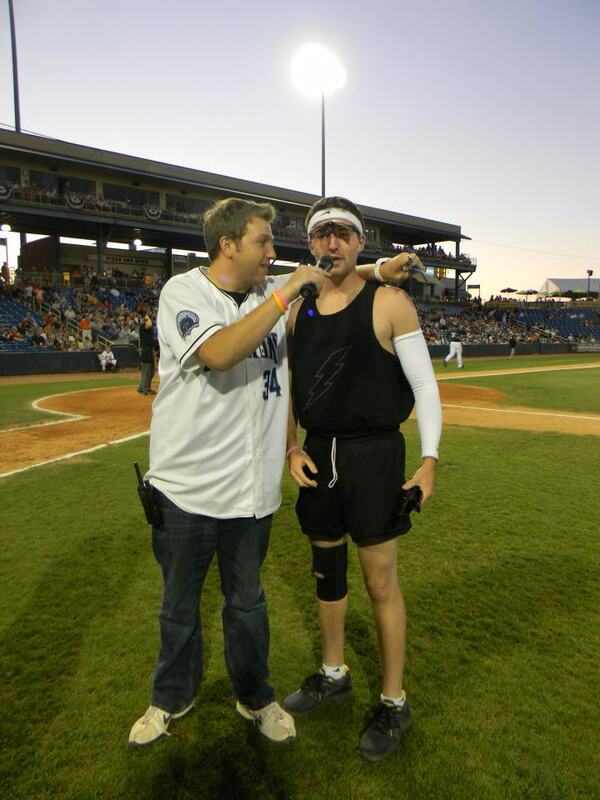 I love my hometown Lake County Captains. I love the Lake County Captains because of the always friendly and hospitable staff that you see throughout the ballpark on a daily basis. 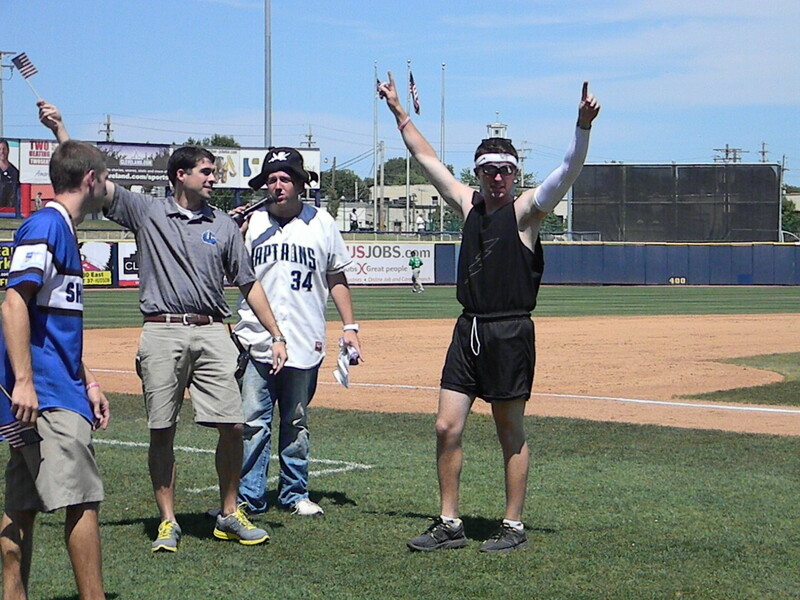 The crowd is led by on-field host and ticket sales representative Andrew Grover, who who walks through the crowd during every game to ensure that every fan is having a great time. 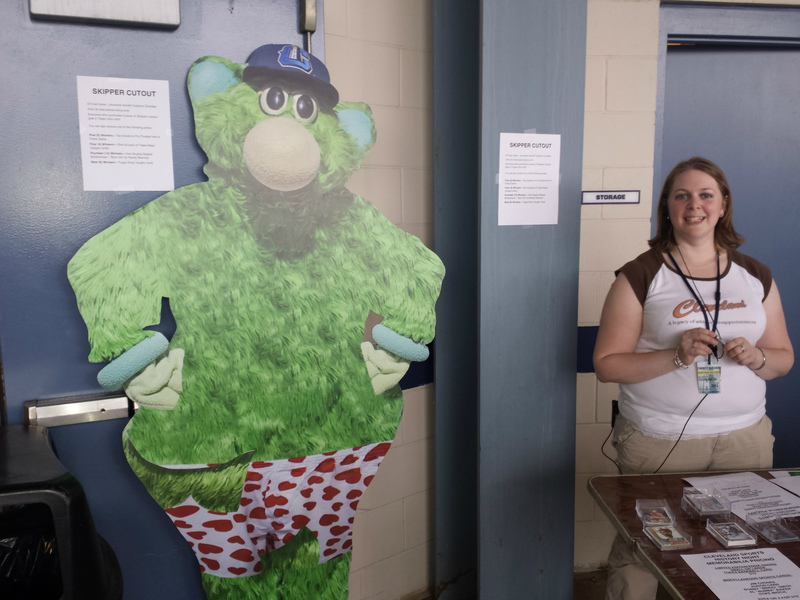 Grover is one of the many smiling faces you see when you walk in the ballpark, and he is the last one you see when you leave. Each and every one of the staff members is incredibly helpful and happy to be there. 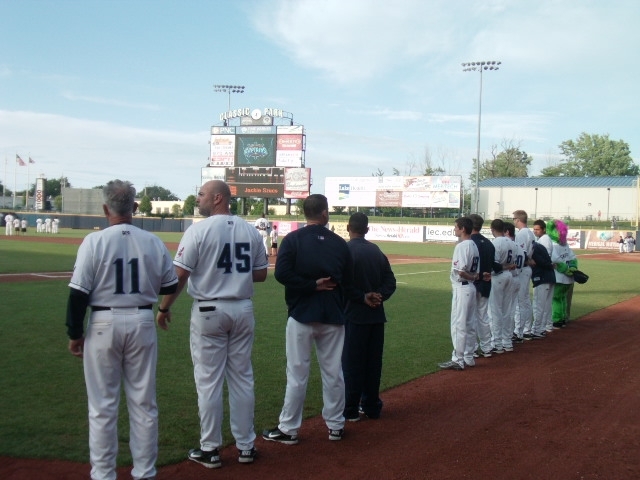 I love the Lake County Captains because of the family-friendly atmosphere that the team promotes at Classic Park. one of the best atmospheres that I have experienced in my life. 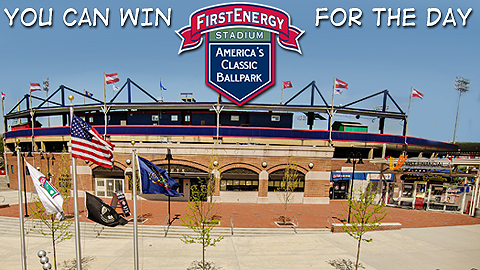 I can bring my girlfriend, brother, sister, parents and other friends to Classic Park, and we can all enjoy a game together. Last year, I took my girlfriend Kelli to her first Captains game. She had so much fun at her first game, she wanted to come back for more throughout the year! I always have an amazing time at the Captains games no matter who I bring. The Captains are the low-A affiliate of the Cleveland Indians, which means that fans could possibly be watching the future of the Tribe as they begin their careers with the Indians organization. 44 Captains alumni have reached the major leagues, and some of the notable names that I have seen and met include Vinnie Pestano, Danny Salazar, Preston Guilmet, Cody Allen and Jose Ramirez. Being able to see players develop at the corner of Carnegie and Ontario is a big reason why I love the Lake County Captains. 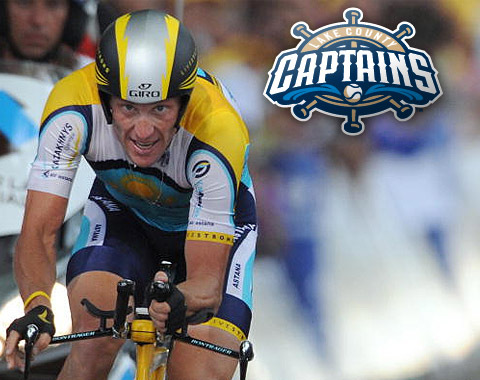 The Captains have a great slate of promotions every year, developing ideas that will make the fans come back. One of my favorite promotions from the last few years is “A Captains Story,” where everyone’s favorite mascot — Skipper — is featured in a bobblehead portraying scenes from the film A Christmas Story. Other outstanding Captains’ promo nights include Cleveland Sport History Night, Star Wars Night and an assortment of ethnic heritage nights. 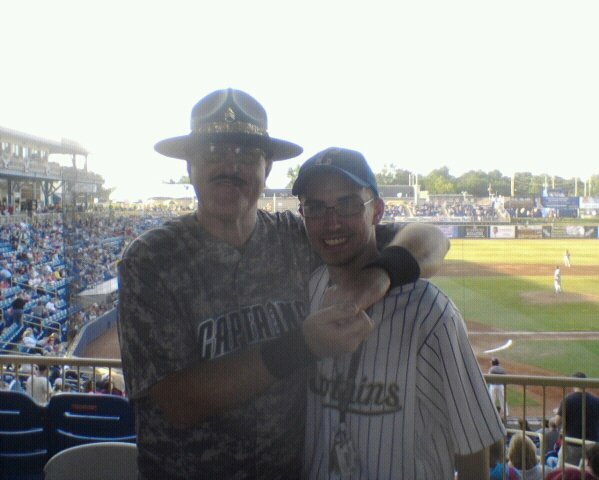 I have had the opportunity to meet many celebrities at the ballpark, such as former WWE wrestlers Sgt. Slaughter & Ted DiBiase, Peter Ostrum (the original Charlie Bucket from Willy Wonka) and Cleveland Cavaliers play-by-play man Fred McLeod. The Captains try to get the fans involved with the promotions and it works! These are just some of the the reasons why I love the Lake County Captains, and the fact that I get to be the batboy makes it so much sweeter! Thanks to Tyler for taking the time to write this and, again: if YOU would like to submit a post for this series, then send an email the address below. 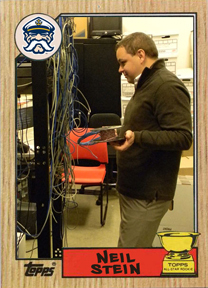 In the meantime, here’s my “On the Road” Lake County Captains post from 2011. As you may recall, the last post on this blog was a bountiful bouillabaisse of ripped-straight-from-the-notebook Minor League news items. Well, that’s what this post is gonna be dedicated to as well. 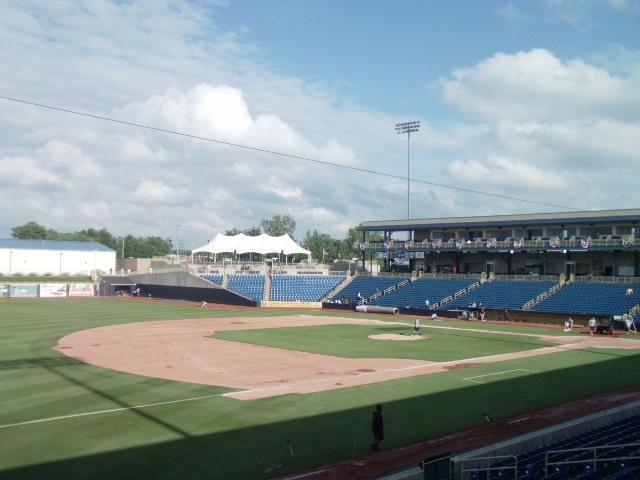 But before we get started with that, please click THIS LINK to read this MiLB.com article detailing my Top 10 favorite Minor League stadiums. Feedback is appreciated and encouraged, and views both complementary and dissenting will be included in a future blog post. And now, to the notebook! Watch it HERE, the IronPigs reference is around the 2:30 mark. On Saturday, July 6, a Skipper Rock-N-Bobble doll featuring the Captains mascot paying tribute to Randy Newman, an inductee in this year’s class of Rock ‘N Roll Hall of Fame musicians, will be given to the first 1,500 fans compliments of Sysco. This year’s doll will also feature a sound clip from Randy Newman’s Burn On, which is synonymous with the Major League movie. Yes! A Randy Newman-themed giveaway. And one featuring a song from “Sail Away,” arguably his best-ever album (it’s certainly my favorite). Here’s hoping Randy Newman promos spread through the Minors like a fire on the Cuyahoga. How about “Salute to American Foreign Policy Night”? While we don’t have a program like [the Crawdads], we do offer a program for young kids to experience a day in the life. 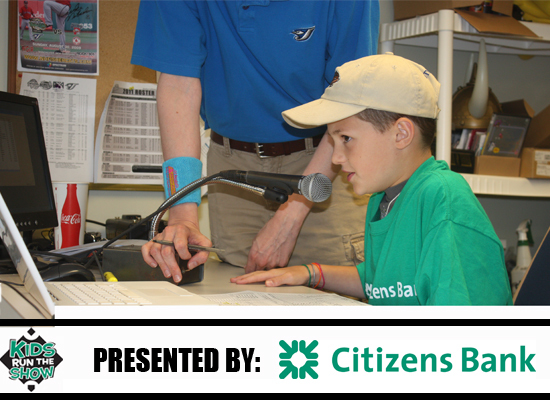 We work with Citizens Bank (sponsor love) to open up a handful of jobs for kids ages 6-16. They shadow with us for an afternoon and then through the game itself. 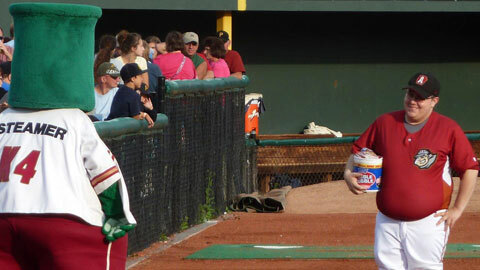 To read more about the Fisher Cats’ “Kids Run the Show” promo, click HERE. Meanwhile, I’m more than happy to have kids shadow me for a day. As a veteran blogger, I will teach them how to show up to the office late and disheveled, overpay for lunch in lieu of bringing your own, and write jokes on Twitter instead of doing meaningful work. You may remember my piece last season on the art of scorekeeping. In this piece one of the fans profiled was the pseudonym-ed “Stevo,” and I will now take the opportunity to direct you to his blog “The Baseball Enthusiast.” Stevo has just begun a series of posts entitled “For Those Keeping Score at Home,” featuring “intermediate to advanced” tricks of the trade. I have a feeling that many readers of this blog will enjoy picking up what he’s putting down. I’m pretty sure that the Reading Fightin’ Phils are the first team to give away their stadium, even if it is only for a day. Read all about it HERE. Or just look at this visual and wonder. 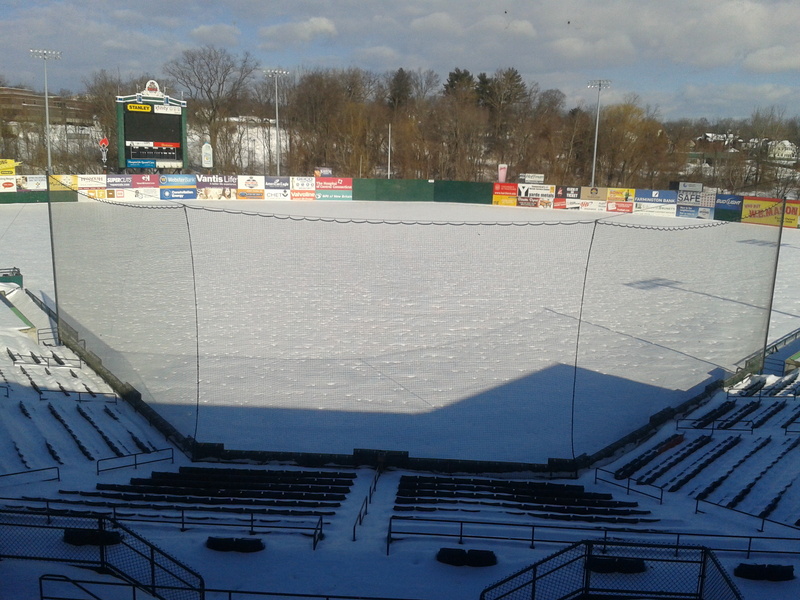 I know that snow-covered ballpark photos are so two weeks ago, but here’s a good one courtesy of the New Britain Rock Cats. So soothing! 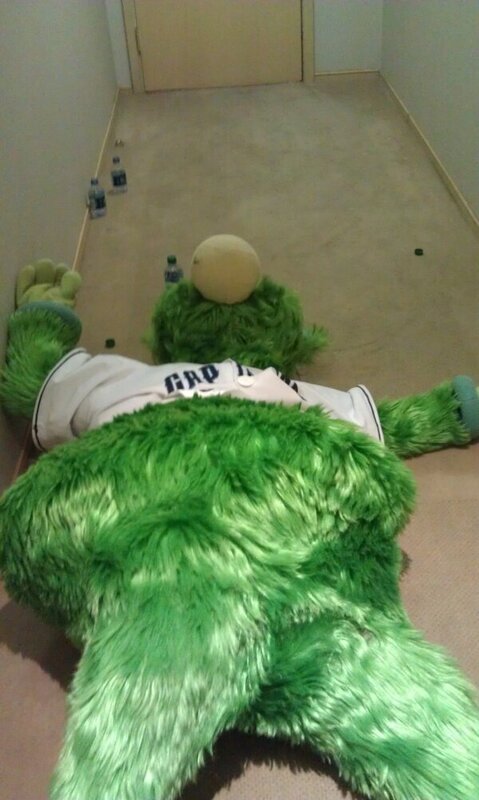 In what I believe is a Minor League anomaly, the hair of Wilmington Blue Rocks mascot Rocky is real and actually grows. And once it grows long enough, he’s going to donate to Locks of Love. Click HERE to see his ‘do. 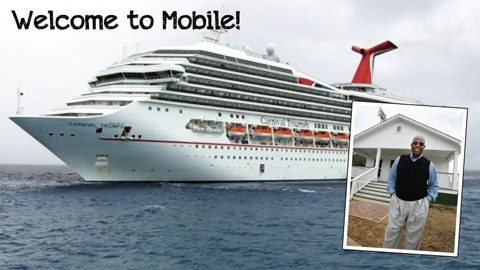 Proving that just about anything can be capitalized on by Minor League Baseball teams, the Mobile BayBears recently opened their arms to distressed travelers after the beleaguered Carnival Triumph finally limped into Mobile. The Mobile BayBears would like to give all passengers aboard the Carnival Triumph cruise ship the opportunity to visit the Hank Aaron Childhood Home and Museum for free on Thursday and Friday February 14th and 15th. The museum will be open from 9-5 on Thursday and Friday, and all non-Carnival passengers will be able to visit the museum for the standard price of $5. NYC still has a long ways to go when it comes to fully recovering from Superstorm Sandy, and the Brooklyn Cyclones are doing their part via their “Meaningful Mondays” initiative. $3 from every ticket sold to every Monday game will go toward a local charity — read about it HERE. Speaking of meaningful, I’d recommend that you read these most insightful observations from former Durham Bulls staffer Matt DeMargel regarding why employers should look at Minor League Baseball experience in a positive light. And now I have reached the end of this notebook page and, therefore, the end of this post. I’ll conclude by sharing this Augusta GreenJackets staff bio. The legend of Dumpster the Stadium Cat continues to grow! All of this is to say — it’s time to turn the page! But before doing so, please enjoy this bouillabaisse blog post consisting entirely of news items seen on the above notebook page. Y’know, topics that I’ve kept meaning to get around to but never did (or at least never did outside of the Twitter realm). So here you go — no segues, just news news news! Would you believe that the Hudson Valley Renegades have not one but TWO former MLB pitchers on their front office staff? Joe Ausiano (1994-95 Yankees) has long been with the team, and he has now been joined by Rob Bell (who played for four teams over seven big league seasons). Bell, now 36, will serve as a sales account executive. 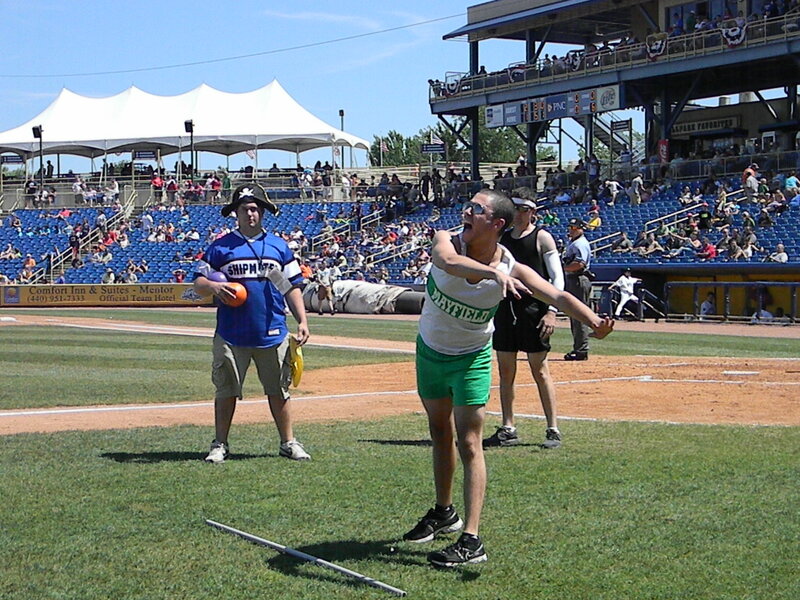 Hudson Valley: home of Minor League Baseball’s best front office softball team? The Iowa Cubs have long prided themselves on conducting the most irreverent website polls in MiLB, but decided not to continue with the practice after their site underwent an extensive re-design (as nearly all team sites have done of late, courtesy of the tech wizards here at MLBAM). 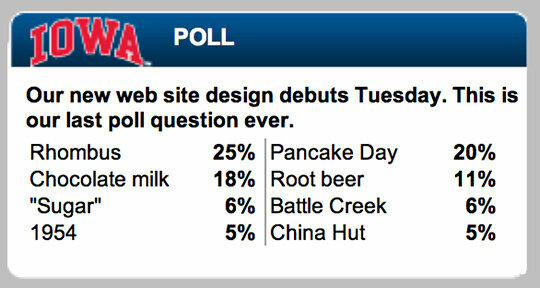 But, rest assured, they went out on top of their poll game! He also attached a picture of his formidable hat wall. Not quite at a St. Pete level, but close! 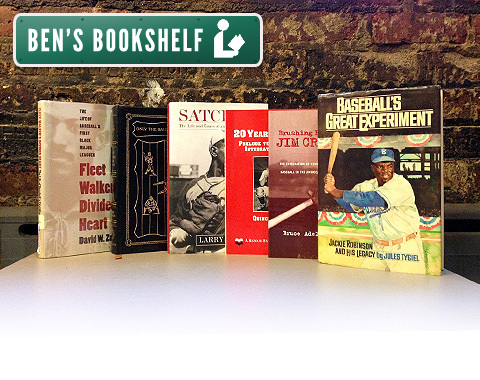 You may or may not be aware of my most recent “Ben’s Bookshelf” column, which had a Black History Month angle. I recommend all six of the titles shown above (read the article, linked to above), but there’s far more where that came from. Check out this bookshelf pic, sent to me via Twitter by @BeesGal_SLC, and marvel at its thoroughness. That reminds me — I really should read Curt Flood’s book! 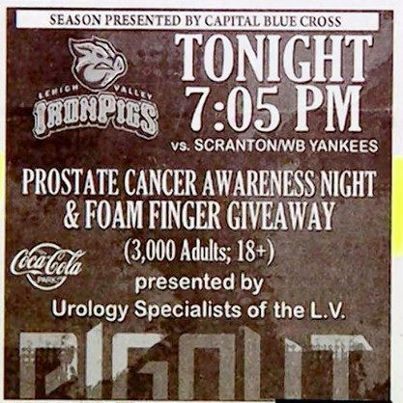 On the promotion front — this, from the Altoona Curve, is worthy of attention. April 11 will be BOpening Night, a tribute to batboy Bo Forney who passed away earlier this month at the age of 21. A silent auction will take place during BOpening Night with all proceeds from the auction benefitting the American Heart Association. The auction will consist of game-used items from the Pirates-Curve Exhibition game and will include, in addition to other items, 14-game used jerseys that have been signed by former Curve players /current Pirates players. To commemorate the life of Forney, a patch with Bo’s cartoon likeness will be affixed to all bat boys uniforms throughout the 2013 season. The Forney family will also be in attendance for BOpening Night and will throw out ceremonial first pitches prior to the game. A moment of silence will be held in Bo’s honor prior to the game as well. 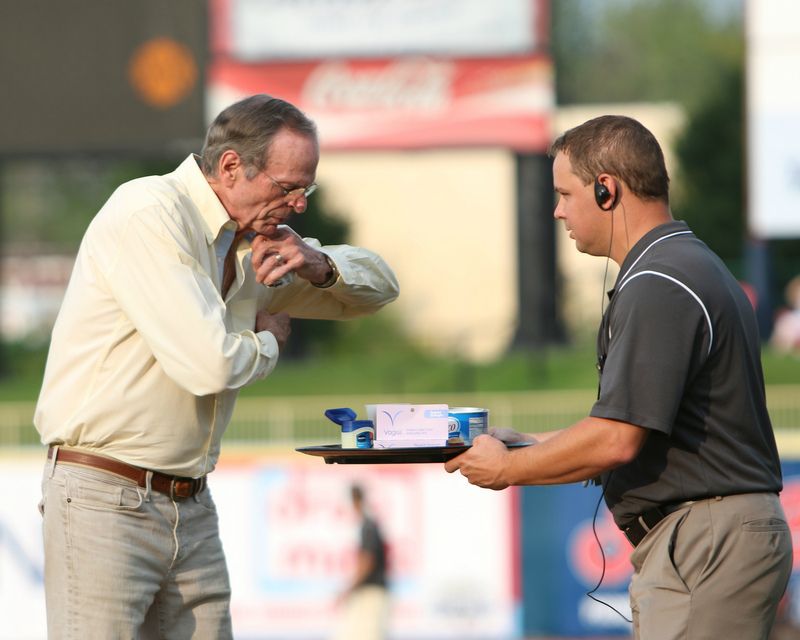 This reminds me of the Wisconsin Timber Rattlers, who last season held a ballpark service for vendor Brock Calmes. Events like these help to illustrate the deep bonds that form within Minor League Baseball ballparks, and just how meaningful the presence of Minor League Baseball within a community can be. 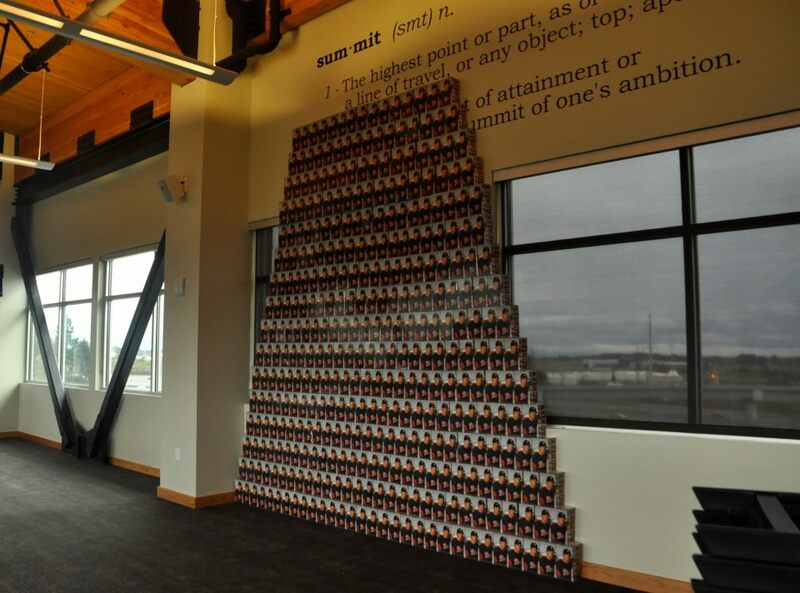 Last week, the Tacoma Rainiers let it be known that anyone willing to purchase 350 Opening Weekend ticket deals would receive this pyramid of Dustin Ackley bobbleheads. I don’t think that anyone took them up on it. Next I’d like to give a shoutout to Spikes, intrepid mascot for your (or at least someone’s) Rochester Red Wings. 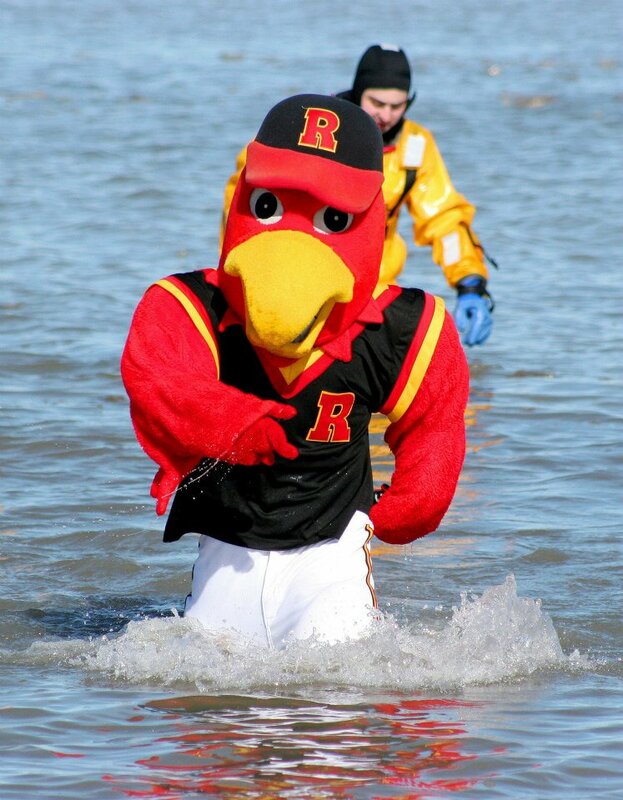 He joins Rocky of the Wilmington Blue Rocks as the only mascots (that I am aware of) to take part in a Polar Plunge for charity. During all 10 of their Friday night home games this season, the Charlotte Knights will be wearing 1990 throwback uniforms. Luxuriate in this image! The jerseys, which were worn by the inaugural Knights Stadium Team in 1990, will now be worn by the current Knights team during the new “Flashback Fridays” series, which is set to commemorate 24 years of history at Knights Stadium. To return to philanthropic endeavors, the Erie SeaWolves are now at the tail end of their “Drive to Five” initiative. 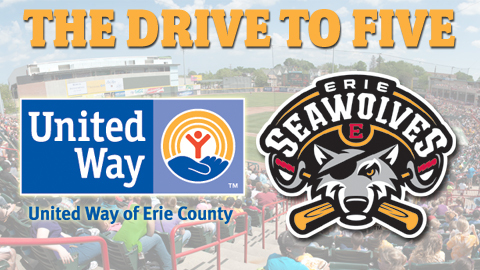 Through February 28, the Erie SeaWolves will donate $25 to United Way for each new full-season ticket package purchased. If 100 new season ticket packages are purchased, the SeaWolves will double the contribution – raising $5,000 to help United Way achieve its goal to reduce poverty in our region. If you’re the kind of person who enjoys detailed analysis of industry-wide attendance figures, then you’re going to love the Number Tamer. Nobody does it better! (Or, if someone does, I’m certainly not aware of it). “Tackling the Tower” isn’t some sort of euphemism, but an annual stair-climbing event with (of course) philanthropic intent. Good work, Skipper! 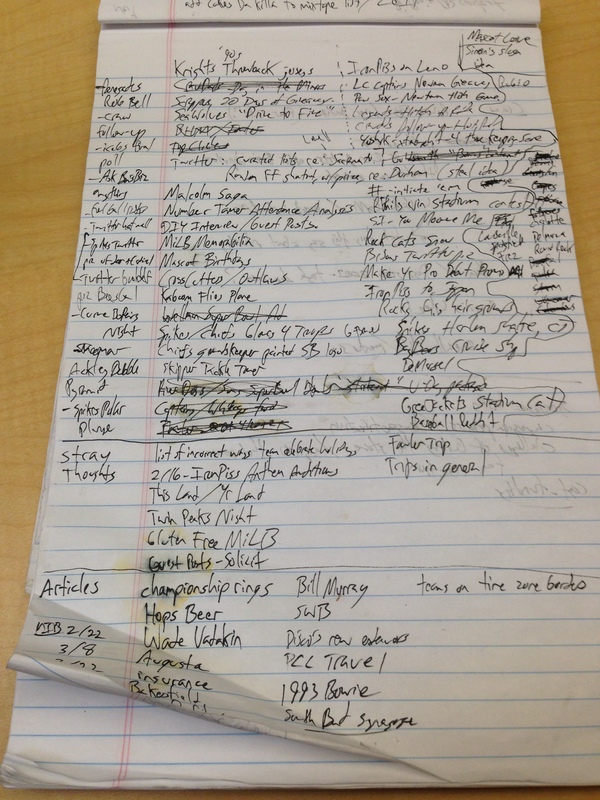 And, my goodness, this notebook page still has a lot of stuff on it. This post is gonna be a two-parter. 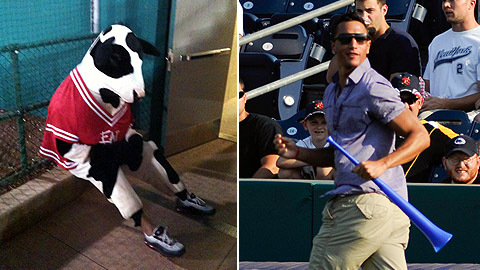 This past Friday sure turned out to be a doozy in the world of Minor League promotions. The independent Florence Freedom got most of the attention with the announcement of their “Manti Te’o Girlfriend” bobblehead (the box is empty, see? 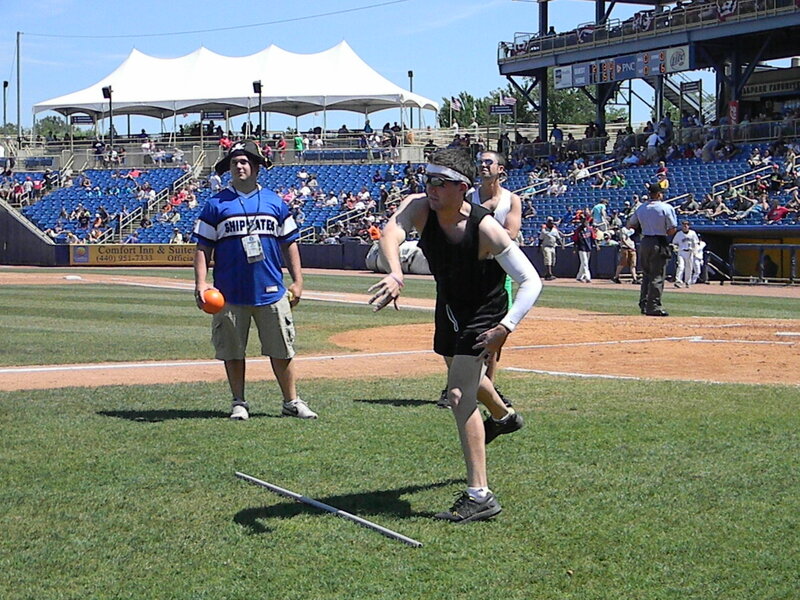 ), but they were soon joined on the affiliated front by the Brooklyn Cyclones. Anyone who purchases one ticket at regular price will be allowed to bring their make believe significant-other to the ballpark free of charge. Fans will also have the chance to draw a picture of their girlfriend, because obviously something came up and she couldn’t make it, so that their friends can finally see what she looks like. As a special treat, MCU Park will host a unique petting zoo for those in attendance, featuring a unicorn, a mermaid, and a Minotaur. 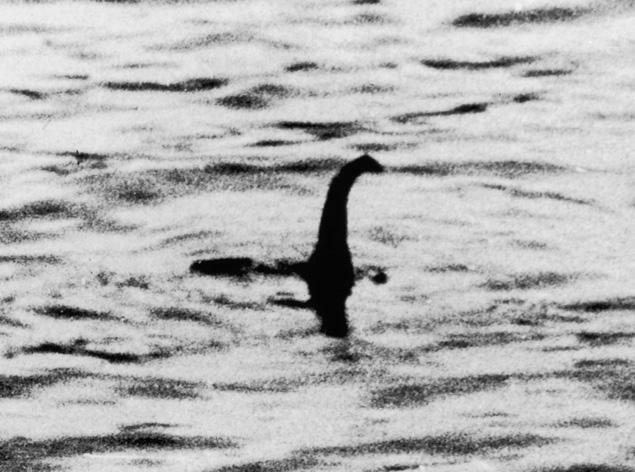 The Cyclones are also in discussions with the Loch Ness Monster and Big Foot to throw out a ceremonial first pitch that evening. In keeping with the tradition of Coney Island amusements, the Cyclones will put a spin on a traditional carnival game, as fans that are able to toss a ping-pong ball into a fish bowl will receive a catfish. Lastly, all of the player headshots used on the video board will just be random people whose photos we find on the Internet. Letting make-believe girlfriends in for free is a very generous gesture. How much do tickets for make-believe girlfriends usually cost? Steve Cohen: It depends on if they take up a seat or not. To keep up with the ruse, you might need an empty seat next to you in case you run into somebody you know. This way if they ask where your girlfriend went, you can tell them “Oh, you just missed her. She just went to grab something to eat, but she was sitting right here.” We have always supported make believe girlfriends – haven’t you seen our staff? 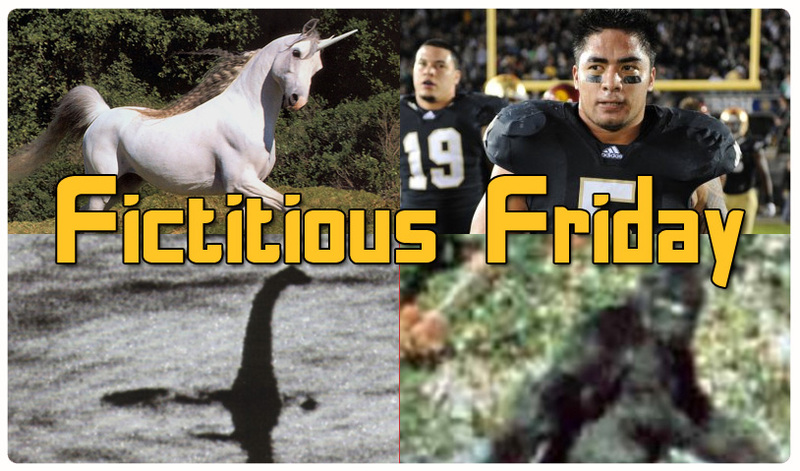 How are your negotiations with the Loch Ness Monster and Bigfoot progressing? Steve Cohen: Not good. The market for make-believe creatures is currently at an all-time high. Their agents see this as a golden opportunity to cash in and they are asking an enormous amount as an appearance fee. Plus they are making odd demands like every picture we take of them needs to be out of focus and from at least 100 yards away. How many catfish do you expect to give away on this special evening? Steve Cohen: We had a couple wash into our office during Super Storm Sandy, so we already have a pretty decent supply to start off with. 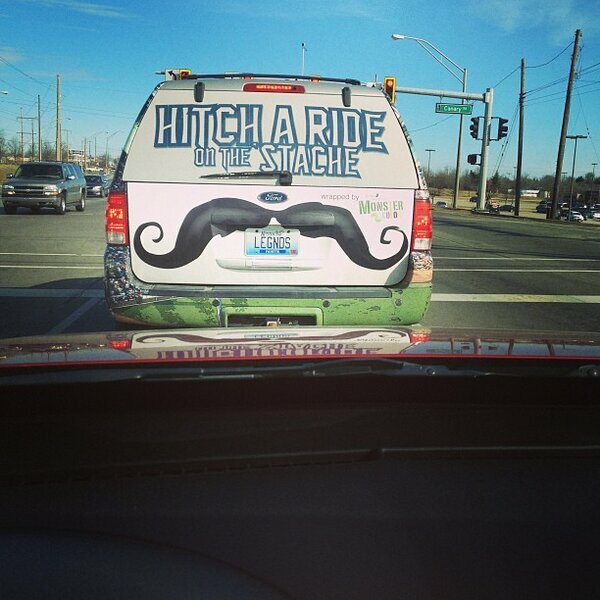 If this promotion is a success, will other make-believe promotions follow? Steve Cohen: You bet — the make-believe ones are a lot less expensive than the real ones! Items such as catfish will be featured on the Turkey Mike’s BBQ menu and fans who purchase a game ticket can bring their imaginary or real significant other to the game for free. A meet and greet will also take place prior to the game for all couples to introduce their significant others to their parents, to avoid any confusion about the existence of a boyfriend or girlfriend. Two free future game tickets will be given to all fans who dress like Manti Te’o and to all Stanford University students because they may know or be Te’o’s girlfriend. 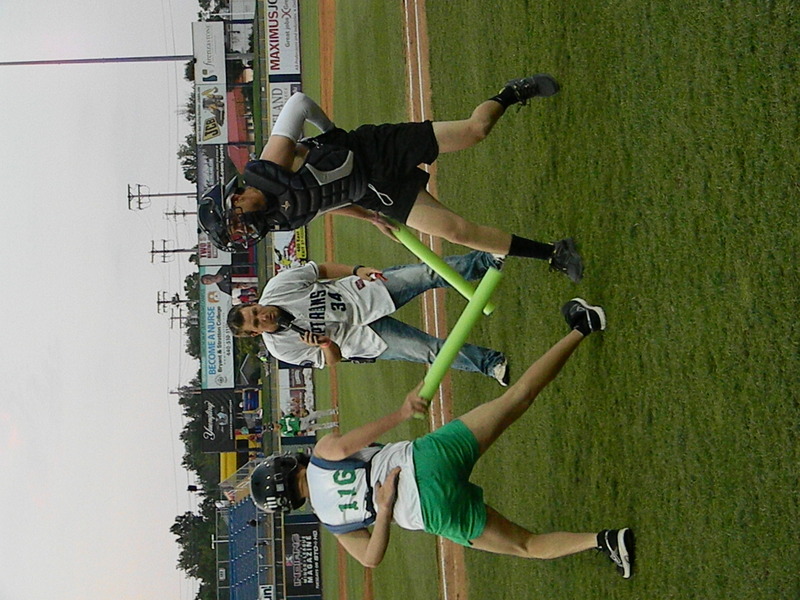 During the game, promotions will include individuals and their imaginary significant others competing to win great prizes. On both December 2 and December 3 the touring performance crew known as Fur Circus made goodwill appearances at the Nashville Ronald McDonald House and Vanderbilt Children’s Hospital (prior to setting up shop as Trade Show exhibitors). This was a win-win mix of altruism and self-promotion — Fur Circus, relative newcomers on the MiLB touring circuit, were able to spread some good cheer while also spreading the word about themselves. But, of course, all of that happened in the long-ago year of 2012. Here in 2013, we have new things to occupy our time — like New Year’s-themed ticket packs! The Miracle have been doing this for a couple of years now, and I’m always surprised that it hasn’t inspired other teams to do something similar. The Durham Bulls have unveiled a new ticket package in response to the blockbuster trade which sent Minor League Player of the Year Wil Myers and other Kansas City Royals prospects to the Tampa Bay Rays in exchange for former Bulls pitchers James Shields and Wade Davis. The “Wil He, Won’t He?” Pack consists of three big Bulls games, including Opening Day on April 8th and July 4th, and an added incentive for fans should Myers skip Durham and make the Major League roster out of Spring Training. If he does not start the season with the Bulls, ticket package buyers will receive an additional game for free. Well, now said package has been endorsed by Mr. Myers himself! Oh, and speaking of retro baseball cards — last year around this time I put together a series of “then and now” blog posts detailing those featured in the classic 1987 Topps set who are currently coaching in the Minor Leagues. Why don’t you give it another look? It was a lot of fun to put together and got a great response, but Lord knows it’s too much work for me to re-do each year. I’m only one man. As part of my unwavering commitment to always be several months behind when it comes to delivering blog content, today’s post returns to a topic that was first touched upon last week: Olympics-themed Minor League Baseball promotions! That’s what you’re all here for, right? Then let’s do this! In Eastlake, Ohio, the Lake County Captains satiated our nation’s pent-up desire for 1992 sneaker commercial nostalgia by staging their own version of Reebok’s Dan vs. Dave campaign. This time around, the Dan and Dave in question were Captains account executives Dan Torf and David Kodish. [R]emember the 1992 Dan vs. Dave ad campaign for Reebok when those two were qualifying for the Decathalon….We decided to do our own Dan vs. Dave promo in honor of the Olympics, [beginning] when the opening ceremonies began. The two guys are competing in a Heptathalon (one event in 7 different games while the Olympics are taking place – that’s all we have at home during the Olympics). The resulting images were fairly ridiculous. Let’s all take a look, together as one. While I’m not sure of the myriad twists and turns that led to the final outcome, let it be known that it was Dan Torf who emerged victorious. Here he is speaking with Grover, one of the most ebullient MCs in the biz. Let’s just keep on rolling, because there’s always more to write about. If you have a moment to relax for a little bit, then take a deep breath and watch this stirring tribute to Mobile BayBears batboy Wade Vadakin. On July 21st, Wade worked his 1000th (!) game for the BayBears, and the team made sure that his accomplishment received ample recognition. We have not hit upon my secret self-imposed word limit quite yet! Therefore, let’s take a look at a late-season Delmarva Shorebirds innovation. The team partnered with sponsor Pool Tech, Inc. and installed a hot tub seating area down the third base line. Fans vied for the chance to sit in the hot tub during the game via a Facebook contest, and judging by the picture below it looks like Randy Newman may have been one of the chosen few. 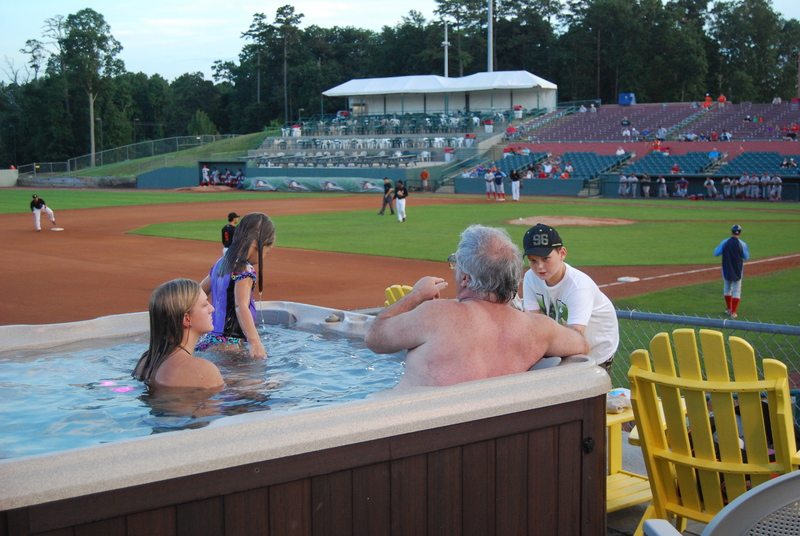 This is not the first time I’ve written about hot tubs at Minor League ballparks, but I can’t recall any other teams that did this in 2012. Prove me wrong, please. Or prove me right. At this point in the calendar year, all that really matters is that someone takes the time to momentarily validate my existence. And with that gratuitous sentence, I have now exceeded my self-imposed word count. Thanks, as always, for tolerating the barely-suppressed series of OCD rituals that is this blog. And, what? It’s July already? I’ll write a new Crooked Numbers column as soon as I can, promise! As usual, I’m talking almost entirely to myself. I’m tired of that guy, but he’s all I’ve got. But, for you, it’s time to go back to the roots with a quick blog bouillabaisse! 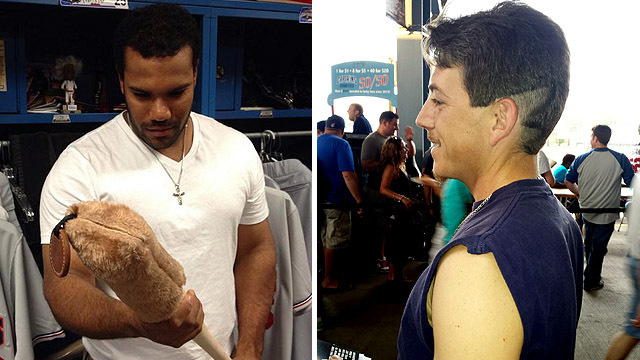 So what, of note, has been going on around the Minors? Too much! Here’s a tiny bit. Last month, the Connecticut Tigers kicked off their season in the most literal way possible. To the photograph! This is Dave Teggart, who was a four year stud kicker at UConn (School all-time leader in points, field goals in a career, and field goals in a season). He was then one of our interns during the 2011 season. Recently, he attended Rookie Mini Camp for the Bears and was signed to a contract to attend training camp with the team. So what do you know? The New York-Penn League had not one but TWO collegiate gridiron stars turned interns last season. The other was Penn State receiver Derek Moye, who I have already written about HERE. General Dynamics Electric Boat is just about 20 min away and one of our largest sponsors. [S]taff members ride in the sub pregame to throw t-shirts to the crowd. We have a large military presence in the area with the Coast Guard Academy and U.S. submarine base within the same radius. It is for these reasons that Connecticut’s previous Minor League franchise was known as the “Defenders,” and, prior to that, the Norwich Navigators. Why am I always going off on tangents? One of these days I’m going to segue from “tangents” into something involving “tan gents,” but that day is not today. Instead, I’ll share a video from the Lake County Captains’ “Cleveland Sports History” promotion, which was held in June. And, hey, If I’m posting YouTube videos then there’s no way this can be ignored! Ricky from Bordentown wipes out not once, but twice, during a most unique between-inning contest in Trenton. On your mark! Get set! Change that diaper! Classic. And I’ve got PLENTY more where that came from.